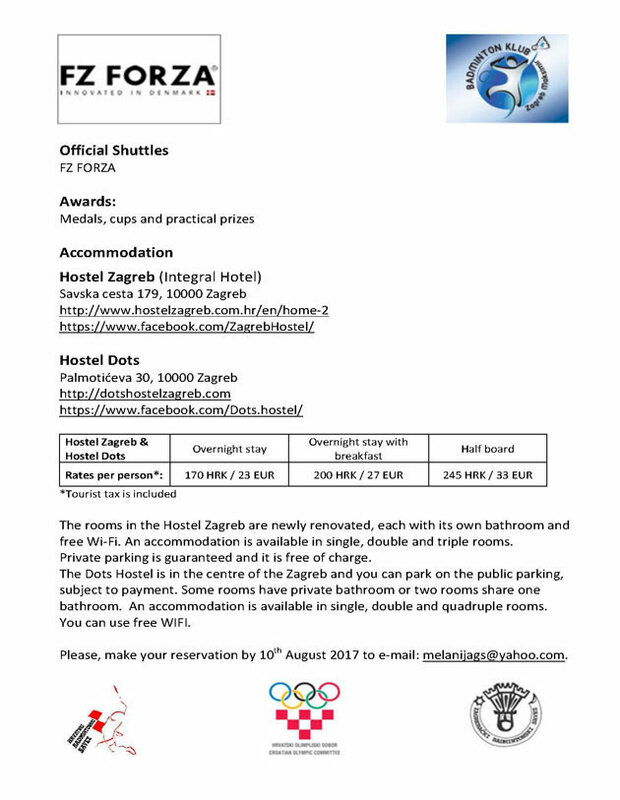 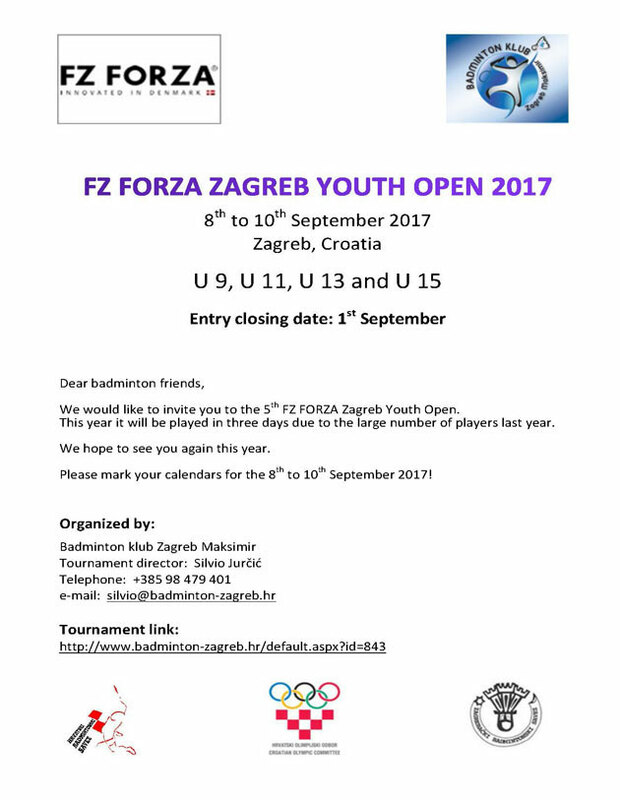 5.4.2017 11:32:00 - Dear badminton friends we would like to invite you to the 5th FZ FORZA Zagreb Youth Open 2017. 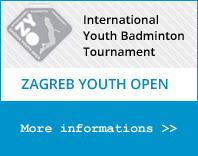 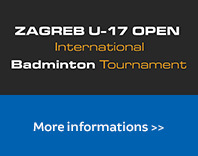 This year it will be played in three days due to the large number of players last year (258 players in the both tournaments - Zagreb Youth & U17 Open 2016). 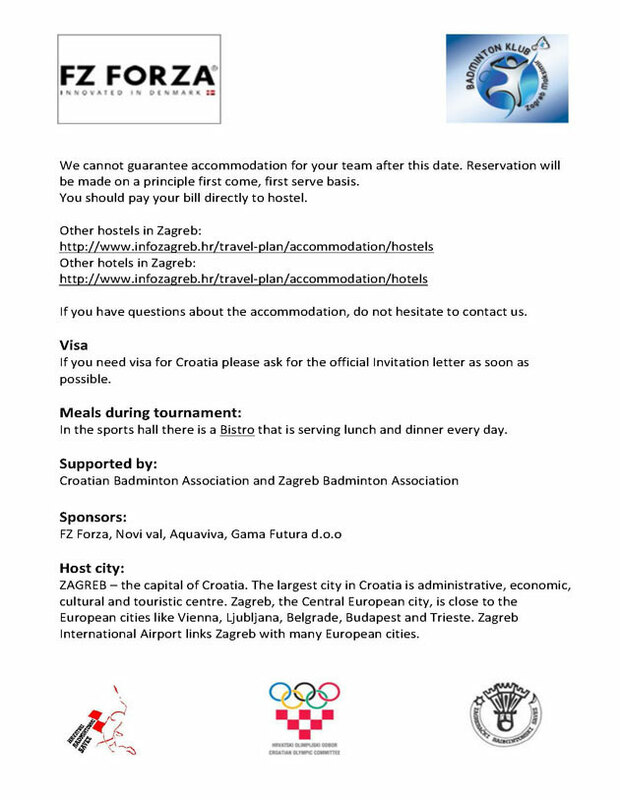 We hope to see you again this year. 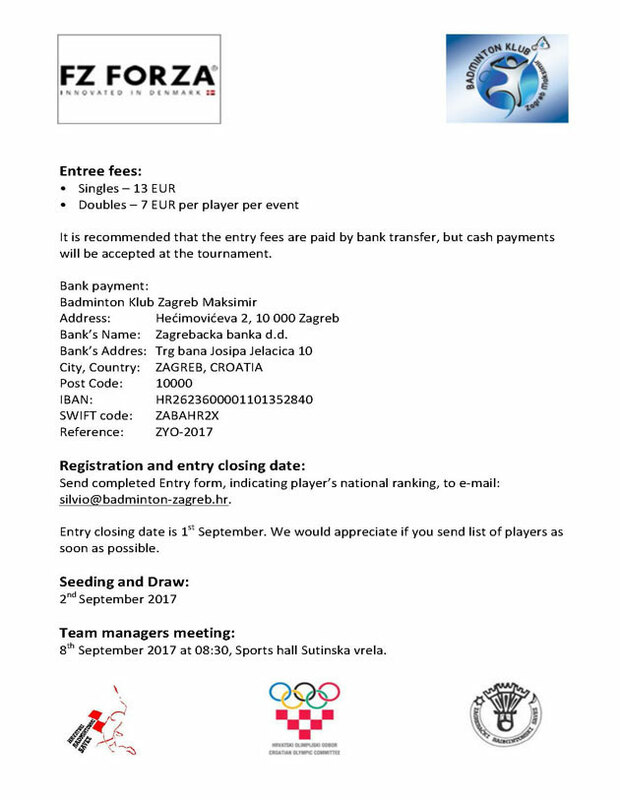 Please mark your calendars for the 8th to 10th September 2017! 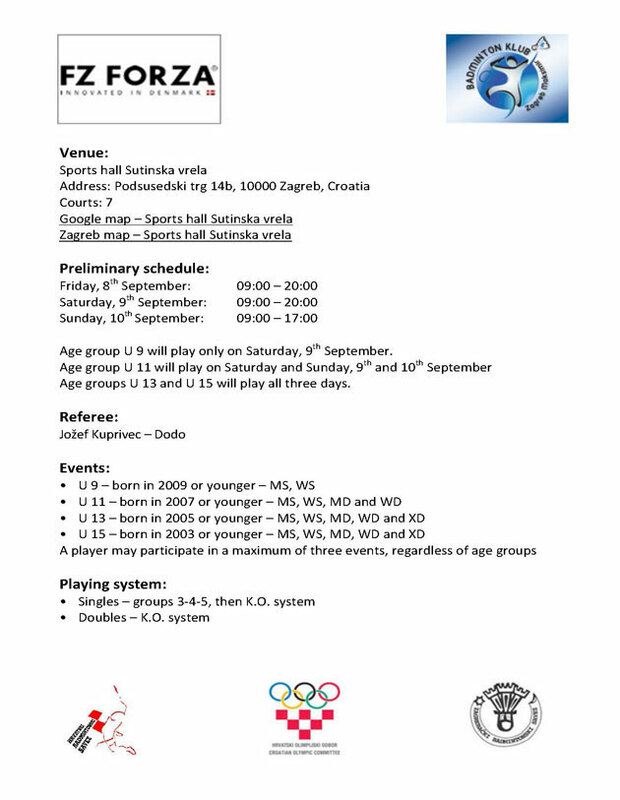 Registration closing date will be on 1st September.